The day we arrived in Phnom Penh we visited two of the cities most dramatic remnants of the Khmer Rouge‘s bloody reign of terror: Tuol Sleng (S-21), and the Choeung Ek Killing Fields. The experience was chilling. The torture rooms were golden with sunlight pouring in through the windows yet in the middle lay the rusty bed and chains the victims were shackled to, with an image on the wall of the last victim found in the room, dead. The whole museum was very raw and honest in this fashion, with hundreds of b&w photos of the prisoners filling some rooms, and cracked skulls filling another. Just a few reminders of the past. The Communist Party of Kampuchea, also known as Khmer Rouge, became the ruling party of Cambodia in 1975. They began a structure of “social engineering” in which all citizens were forced into fields as slaves. If you didn’t work, you were shot, or killed with the blunt end of a shovel. 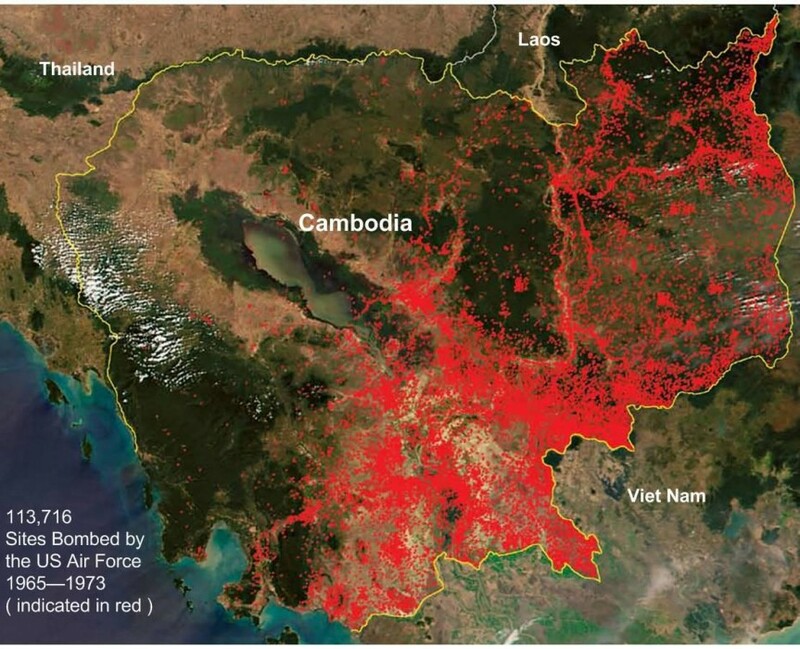 Education was a waste of time and agriculture was the key to wealth and prosperity for Cambodia. They reset the year to 1, and began a bloody reign that claimed 2 million lives of its own people. From 1975 to 1979, an estimated 17,000 people were imprisoned at Tuol Sleng (some estimates suggest a number as high as 20,000, though the real number is unknown). At any one time, the prison held between 1,000-1,500 prisoners. They were repeatedly tortured and coerced into naming family members and close associates, who were in turn arrested, tortured and killed. Prisoners were routinely beaten and tortured with electric shocks, searing hot metal instruments and hanging, as well as through the use of various other devices. Some prisoners were cut with knives or suffocated with plastic bags. Other methods for generating confessions included pulling out fingernails while pouring alcohol on the wounds, holding prisoners’ heads under water, and the use of the waterboarding technique. By the end of 1979, cadres ran out of burial spaces, the prisoner and their family were taken to the Choeung Ek extermination center (killing field), fifteen kilometers from Phnom Penh. There, they were killed by being battered with iron bars, pickaxes, machetes and many other makeshift weapons owing to the scarcity, and subsequent price of ammunition.